2287. Warm blankets on cold evenings. 2289. Fire & fellowship with church family. 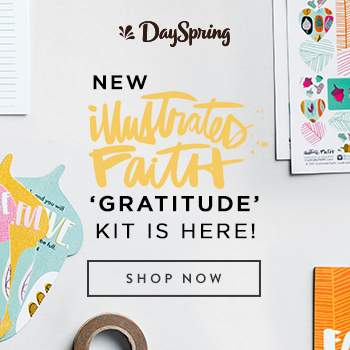 On this day of counting our blessings, I want to share the brand new Illustrated Faith kit with you. The Gratitude kit is such a great addition to counting our blessings and is perfect for the fall and Thanksgiving season. 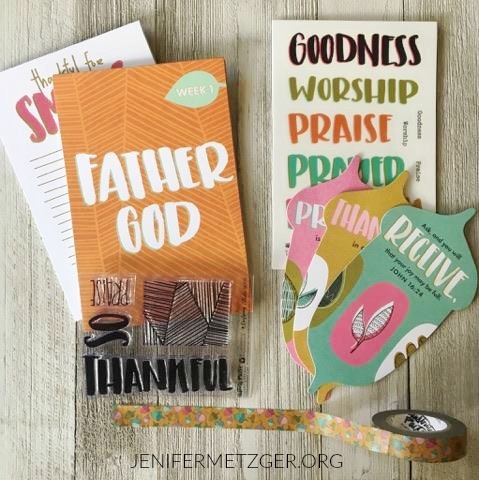 Shanna Noel, the creator of Illustrated Faith, encourages us in documenting how great God is with the Bible journaling tools provided in the Gratitude kit. 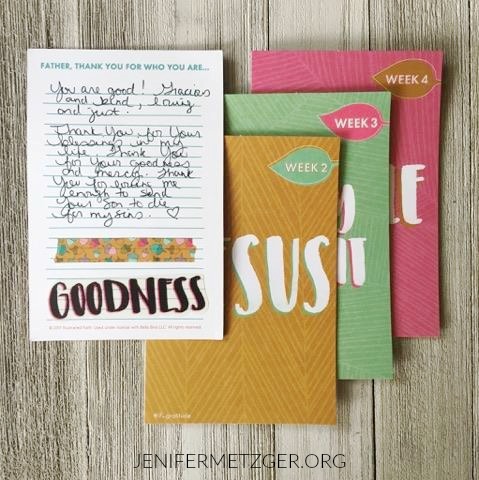 This devotional kit offers ample space each week to note your thoughts as you reflect on your personal relationship with Father God, Jesus, and the Holy Spirit, as well as the Bible and the reasons we are thankful for His Word. A full month to be intentional in expressing your heart of thankfulness. Shanna says, "Our God is so GREAT, let's document that together with HUGE doses of thankfulness!!" I love the devotional cards this month because they have great space for writing out thanksgiving for God the Father, God the Son, God the Holy Spirit and the Word of God. As you write your thanksgiving, you really get to dig deep into your heart and think about ways you are thankful for each member of the Trinity and or the Bible. The journaling cards give you prompts for listing things you are thankful for. Things like creativity, food, smiles, children, music, colors, rest, and reading. 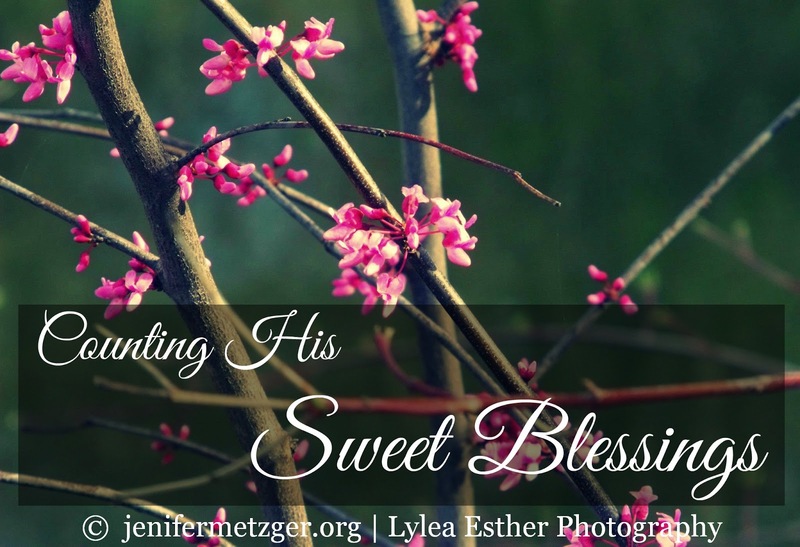 I love pausing to count my blessings each week and this helped me to really focus on certain areas. I don't always think about being grateful for smiles, but I was able to pause and really praise God for the smiles of my children and how my husband loves to make me smile. Or to think about reading and praise God for His Word, for the devotionals I am blessed to follow along with and even for the fiction books I read for fun. This kit is so great for this time of year and will truly bless you as you begin to show gratitude to our Father for all of His goodness. Pick up your Gratitude kit by clicking the image below.